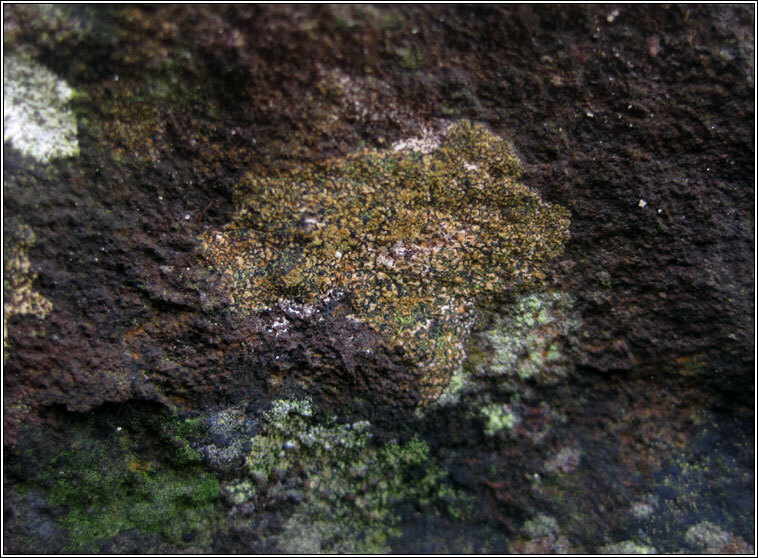 Found on shaded neutral or siliceous rocks, often on old dry-stone walls and on rocks in old woodland. 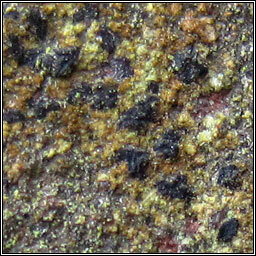 Thin or finely cracked pale brown to reddish-brown thallus, sometimes with pinkish patches. Dark-brown to black prothallus. Yellowish soralia scattered over surface giving flecked appearance. 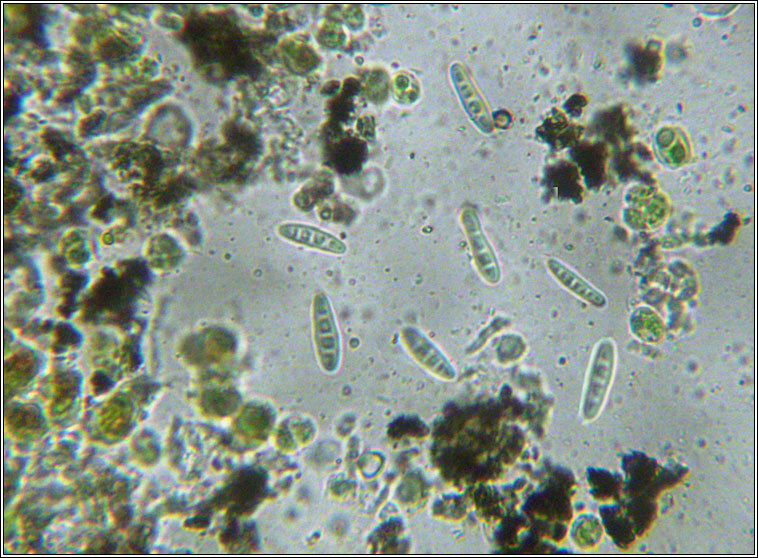 Occasional scattered knot-like or gyrose apothecia, spores 3-septate 17-25 x 4-6 µm. 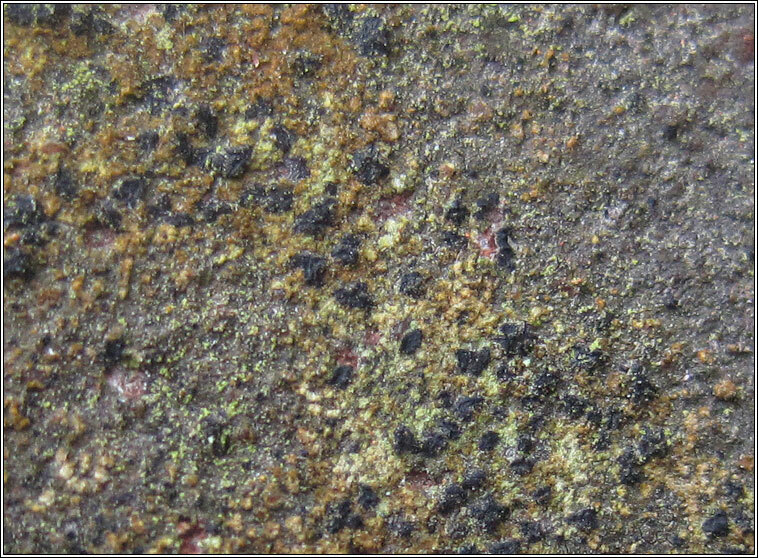 Thallus can form extensive mosaics. Microscope photograph below.